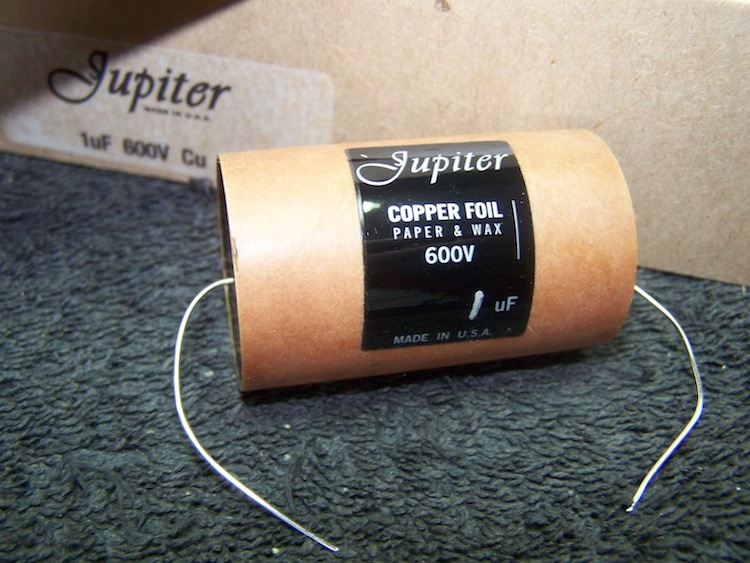 I would like to send you a pair of our new copperfoil wax/paper capacitors to try. I have values .001uf, .01uf, .022uf, .047uf, .1uf, .22uf, .33uf, .47uf, and 1uf @ 600V. 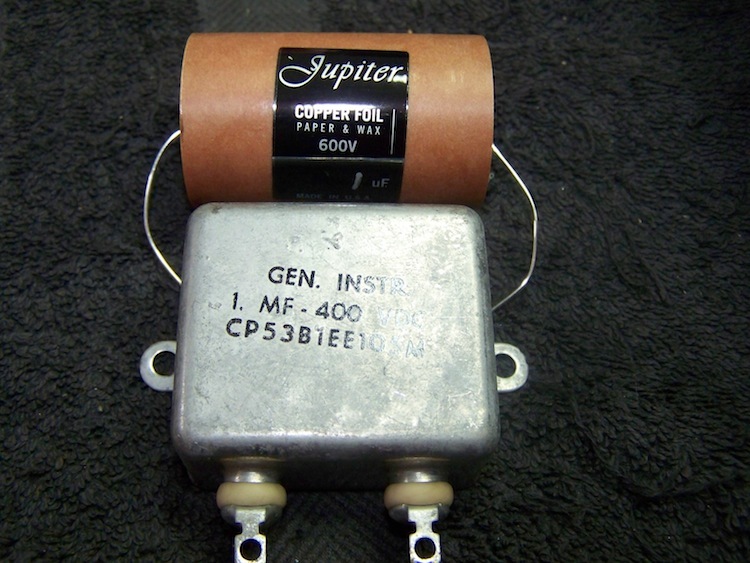 These capacitors were more than 4 years in the development, everything was tailored specifically to this capacitor. At that moment I was just fine-tuning my Single Ended '45 design which uses 1uF paper-in-oil coupling capacitors, so some Jupiter copperfoil 1uF were sent through the local distributor Acoustic-Dimension. As can be seen in the pictures, the 1uF were delivered in nice boxes, just like valves (or tubes). They are relative big and quite heavy as well. What looks like a paper tube is used as body and leads are 20ag solid silver wire. Wax and paper are used as well, all natural ingrediënts! See below for size difference with some NOS 1uF paper in oil capacitors. So, how do they perform? Well, they do what every capacitor should do: block DC and pass AC.. It is in the sound that they are totally different from ANY other capacitor that I used before: Incredible detailed- yet smooth sound with a near real tonal balance. 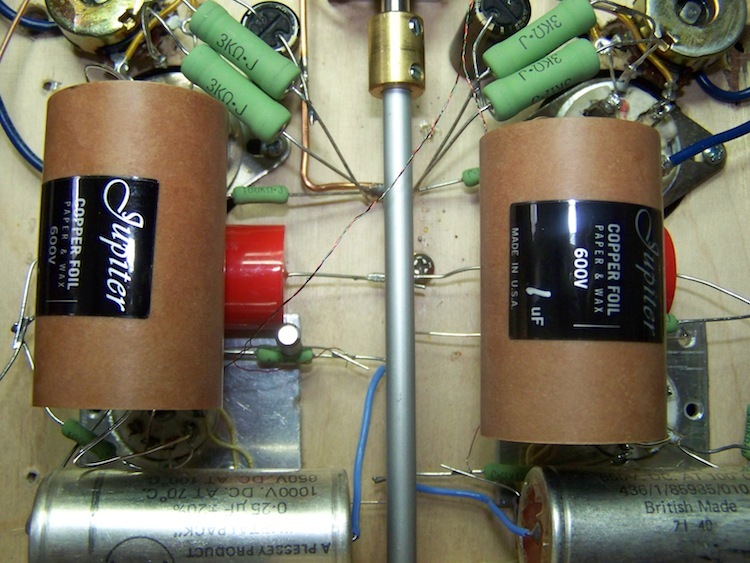 The "most revealing" sounding capacitor for me up till now was AuraT, but listening to the '45 SE amplifier equipped with Jupiter copperfoils made me aware of what the AuraT is lacking: The distinctive natural glow on voices and instruments. This glow may be there because of the immense amount of details due to the way copperfoil, wax and paper are incorporated into the capacitor. 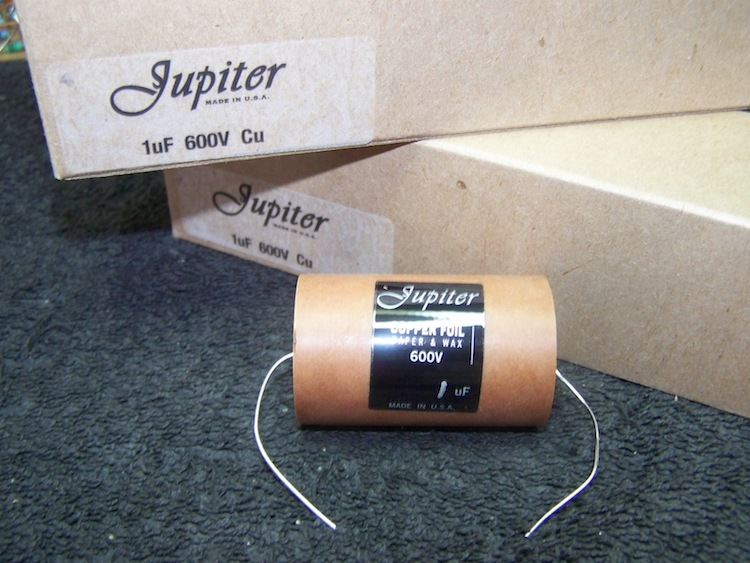 Jupiter has been developing 4 years to get this right and to surpass the existing high-end copperfoil capacitors. I was striving to get the fullness and richness of the copper foil, the naturalness of the paper and wax, yet still have a vibrant lively presence. Most copper foil caps tend to be dark. The wax proved to be very important, subtleties that were very discernable at first listen that also made for better day to day listening as well. When playing classical music on vinyl the soundstage is really BIG and instruments, like piano's and violins, now have that full-bodied warm sound as they should since they are made out of wood. Trumpets have that typical copper sound, like it is almost breaking up. Nice! When playing CD or streaming, a pinch of natural richness is added to the somewhat typical sterile sound compared to vinyl. There is almost an overflow in details which seems to poor out of the speakers. And these copperfoils are fast too.. The funny thing is that I didn't miss the copperfoils before but now it is probably hard to build amplifiers not using them. I was totally happy with my recently built EL3N SE amplifier using NOS PIO TCC capacitors. But now the '45 SE is so much more detailed and "real" sounding that probably some Jupiter copperfoils are needed to get the EL3N SE on par. Lucky me? 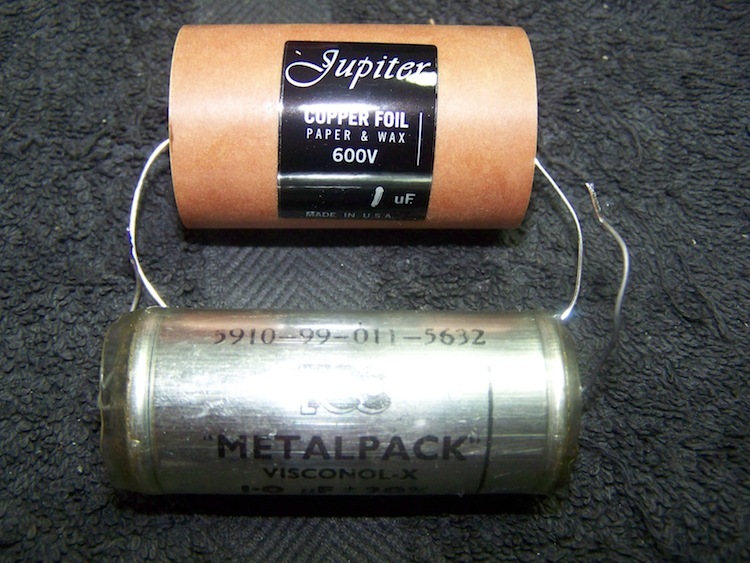 ..since the Jupiter copperfoils are not as expensive as most other brands paper tubed copperfoil capacitors. One thing for sure: These Jupiter copperfoils make me want to rediscover my music collection! See here for retail prices in the Netherlands.